Puredental is a Platinum provider of Invisalign in Liverpool. Don’t settle for second best: your teeth are important for health, well-being, confidence and identity. If you’re considering undergoing Invisalign’s treatment you already know that this is the fastest way to a great smile, healthier oral hygiene and greater confidence amongst many other things. As a Platinum provide of Invisalign, we’ve worked with and seen amazing changes in our patients, and we believe choosing the right dentist is an important decision when it comes to receiving the best treatment. Invisible: Invisalign aligners are made of clear, thin but durable plastic that are virtually invisible. Invisalign invisible dental braces give you the confidence to smile during your treatment as well as after! Removable: Invisalign aligners can be removed at any time. Removable braces give you the advantage of being able to eat, drink, brush and floss with ease during your treatment. Comfortable: Invisalign aligners do not contain any metal wires or brackets which can often cause irritations and abrasions so often seen with conventional braces. 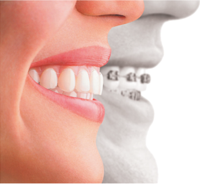 Customised: Impressions are taken of your teeth so Invisalign aligners are custom made for you and only you. Effective: Invisalign aligners begin working right away and can move multiple teeth simultaneously so treatment is usually faster compared to conventional braces. Brighter smile: What’s more is that Invisalign can be used in combination with tooth whitening products so not only will your smile be straighter, it can be brighter too! Puredental offer a range of Interest-free and low cost payment plans to pay for your treatment. Contact us for more information. Got any questions? Get in touch with us! What options are available for teens?